This will be my last post here at Luke, I am Your Father. Of 2011 that is. Ba Dum, Dum! Sorry, I couldn't resist. 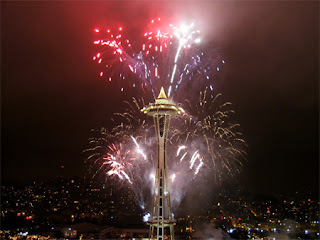 Yes, It's still 2011 here in Seattle as I write this, but the New Year is currently steamrolling across to globe and headed our way like a bunch of crazed, vintage 1985, Seahawks fans leaping from their seats in a successive Wave, and throwing their arms wildly into the air. Only, it's timing is much better. And, even though it's been quite a while since I partied like it was 1999 (our store of Poppers for tonight not withstanding - woo hoo! ), I wanted to make sure to note the passing of the old year and welcome the new one with a final post containing some of my goals for my role as a father for the upcoming calendar year. Yeah, resolutions can be a lame attempt by those lacking proper normal resolve to use the changing of the calendar as a metaphor for the changing of their habits to ones which might serve themselves better in the upcoming year. But hey - when you are generally sleep deprived and up to your eyeballs in daily 'tasks', it doesn't hurt once a year to give yourself a mental boost by using them to give yourself a bit of extra motivation. All that being said, even though I think I am a pretty good father to Lukas, I believe I can do even better in the new year. 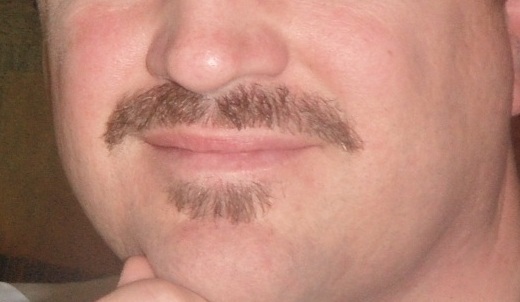 So here are the 5 Dad Resolutions I have made for myself for 2012. 1. I resolve to get to bed by midnight every night - This sounds crazy when I read it, but in reality I am often not getting to bed until 1 or 2 in the morning. Especially on weekends. Obviously this makes me tired the next day and I am subsequently not as engaged with Lukas as I could be. I should really be in bed by 11:00 but will start with midnight for now. Baby steps. 2. I resolve to look first for an opportunity to teach - I joke around a lot with Lukas. I like to make him laugh, and we do a lot. But I really need to take a cue from Mrs. LIAYF and more often look first to teach Lukas about why things are the way they are, rather than turn it into a joke. He deserves that more than I currently give to him. 3. I resolve to reduce my random online time by 50% - Sure, this is hard to measure, but it is a goal. I spend a lot of time online doing things that don't ultimately benefit Lukas. Cough*Twitter*Cough. Yes, I still give him quite a bit of attention but I can still do better. And will. This doesn't mean I will stop blogging, but there are certainly other areas where I can certainly reduce my screen time. 4. I resolve to exercise 3 times a week - This one is huge. I am forty four years old now, and although I am not in terrible shape, I am not in good shape either. I often feel guilty when I am too exhausted to engage Lukas in an activity he wants to participate in. As I get older, for Lukas' sake I really need to ensure he has a healthy father around. 5. I resolve to discipline more consistently - This is not a big problem with us, but I am a pretty laid back guy and can tend to let things go when I should be providing a more consistent message with Mrs. LIAYF. It will definitely serve Lukas well as he grows older to have a clear message from both his parents on where his boundaries lie. So, tell me readers. 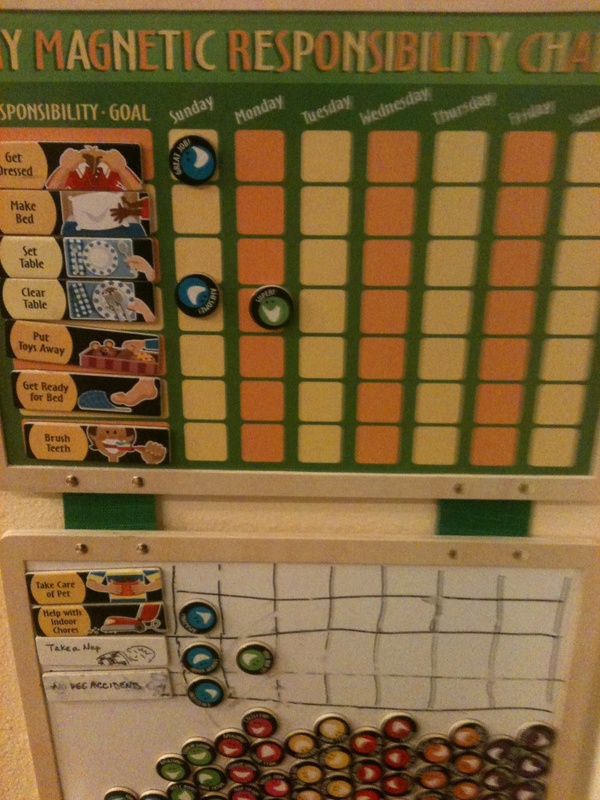 Do you have any parenting resolutions for 2012? Care to share? 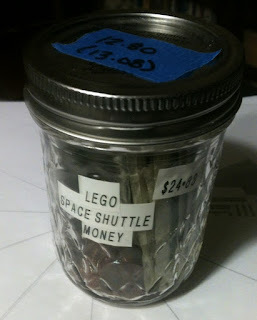 This is the 2nd half of my 2011 'Best Of' blog posts entry. You can view the first installment, from earlier this month, here. Taken together, they provide a primer on what 'Luke, I am Your Father' was about in 2011. This past year has been the 4th that I have published here, and honestly it has also been the most difficult. I am finding it increasingly difficult to find the time or motivation to post regularly here. I'm sure most bloggers experience this at some point. Still, looking back I have published some good material this past year, and hope to continue doing so well into the future. So, if you are new to the blog or just an occasional reader, check these following posts out and let me know what you think. I'm looking forward to hearing from you in 2012, and beyond. July: Transformers: The Dark Side of Pretending to go to the Moon: Strange things can happen when you combine walkie talkies, Transformers, and pretending to blast off for the moon. August: The Dad Foodie: This father is a 'Foodie', but probably not the kind you're thinking of. 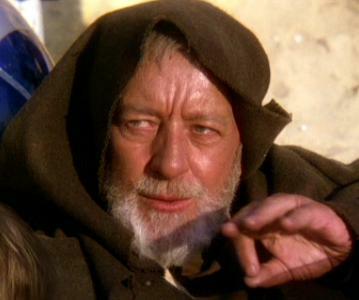 October: 4 Year Old Mind Tricks: This is NOT the post you are looking for (waving hand back and forth). November: Taking a Deep Breath: When you feel yourself getting upset, sometimes it helps to sing a song. 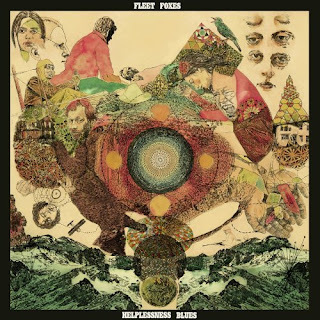 December: SeattleDad's 2011 Best Albums Post: My most thoroughly researched, non-parenting post! Honorable Mention: Where I am From: This started out as a Meme, but I went in my own direction. With good results. Honorable Mention: We're Adopting - You can Help We are still waiting for our second child to choose us. Read about our hopes for adopting him or her. Thanks for reading. Tell me readers, what were your favorite posts from 2011? This can certainly be a good strategy, but is by no means a sure thing. Therefore, if you REALLY want something, at times it is better to take matters into your own hands. Maybe employ an alternate strategy. 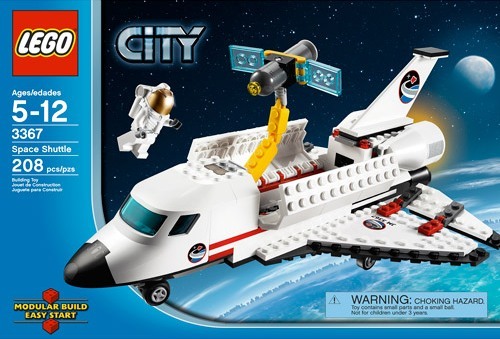 We'll see when it arrives but I'm pretty sure this will travel waaaay higher than a Reindeer. One thing I have noticed while perusing several 'Best of 2011' albums posts is that they are all vastly different. I think that's a product of the fact that there is an abundance of great music being made right now, but also because with all the delivery choices out there these days, it's easy to focus on a narrower set of genres to the exclusion of others. And I'll be the first to admit that this is probably the case with my list as it stands below. I'm sure I have missed some great music simply for the fact that I haven't been exposed to it. That being said, I have listened to a ton of great music this past year. And the 20 listed below are the ones I personally consider the cream of the crop. Each title links to a video from a song on the album. Enjoy. 1. 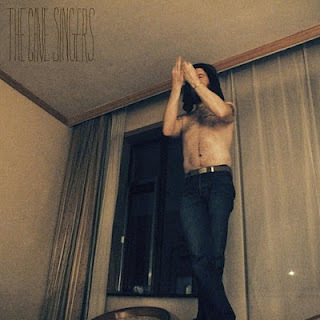 The Cave Singers - No Witch Smooth, folksy goodness oozes from the seams of this Seattle trios third release. Great music to play while kicking back after a long day at the office. 2. Tapes n Tapes - Outside When all the 'Best Of 2011' lists were coming out, I quickly scoured them all to see how high each rated this record. Needless to say I was disappointed not to find it on ANY of them. This record has addictive riffs and catchy hooks laden throughout. I probably played it more than any other record this year. Given that, I would be very interested in hearing what you think about it after giving a full listen. 3. 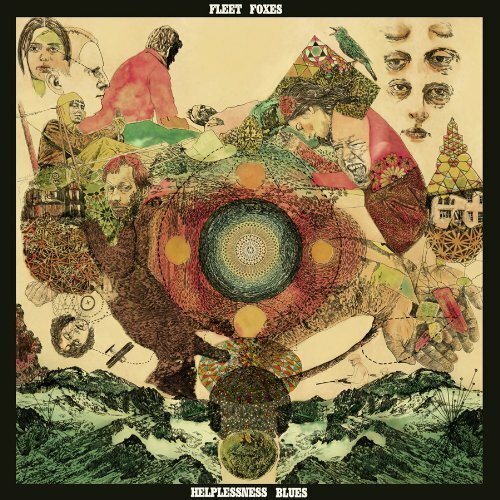 Fleet Foxes - Helplessness Blues This second release from the Seattle folk rock artists is a beautiful, mellow, and harmonious compilation that will surely be as fresh and relevant 10 years from now as it is today. 4. 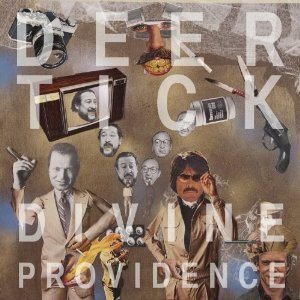 Deer Tick - Divine Providence I've seen this record described as 'sophomoric' and 'a party album', which is probably true but hey it's also a lot of fun. There are elements of punk, twang, garage rock, and humor all blended together to make what was easily my favorite noisy release of the year. 5. 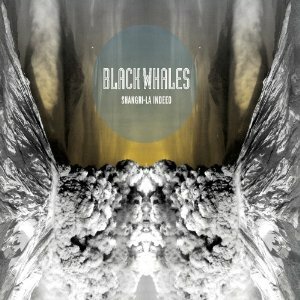 Black Whales - Shangri-La Indeed I had never listened to a Black Whales song before getting my subscription to Spotify, but I really enjoyed what I found in Shangri-La. Yes, this is yet another Seattle band, and perhaps I am being a homer but if you haven't checked these guys out, believe me you won't be sorry you did. 6. 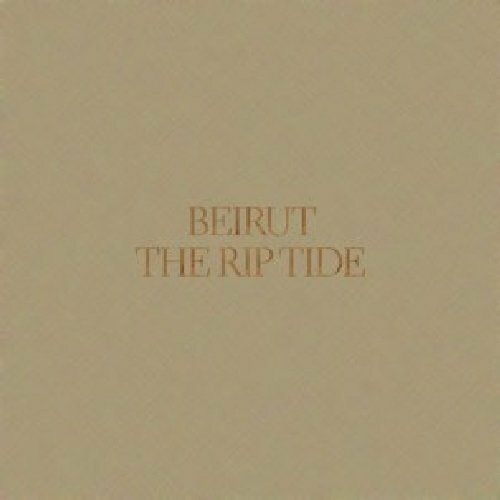 Beirut - The Rip Tide Another beautiful record from Zach Condon full of Eastern European gypsy influences and indie vibes. 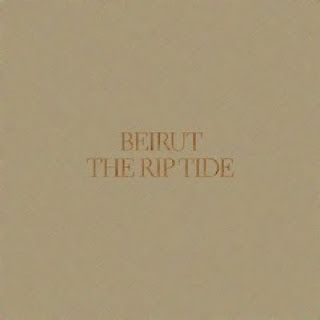 Beirut continue to be one of my all time favorite bands and The Rip Tide picks up nicely where The Flying Cup Club left off. 7. 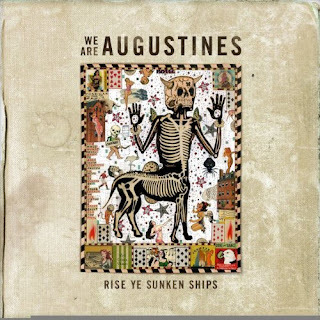 We Are Augustines - Rise Ye Sunken Ships Pela was one of my favorite bands a couple of years ago, and I was pretty bummed when they broke up. 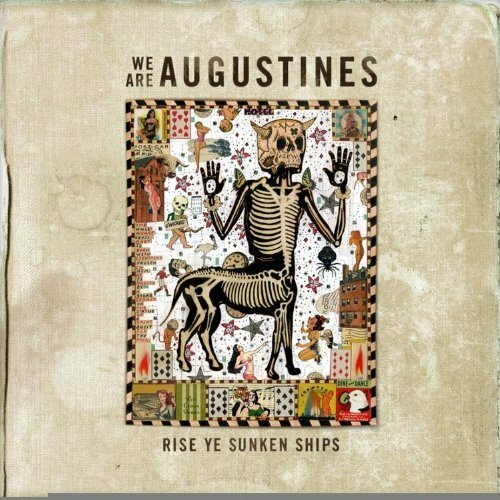 And, although I hadn't followed the career of band members Billy McCarthy or Eric Sanderson there was no mistaken it was their new collaboration when I first hear We Are Augustines. 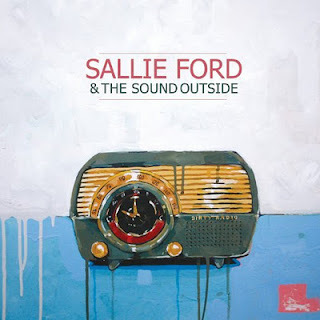 This is a stunningly great record and on my most played list for 2011. 8. 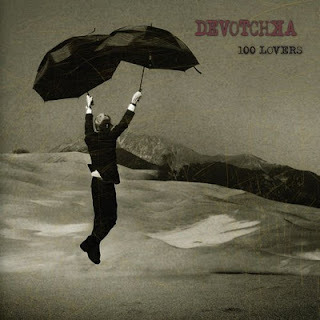 Devotchka - 100 lovers An eclectic, grand, and distinctly European sound, coupled with beautiful harmonies permeates this release. Don't be surprised if you find yourself daydreaming while listening to this record. Perhaps their best release to date. 9. 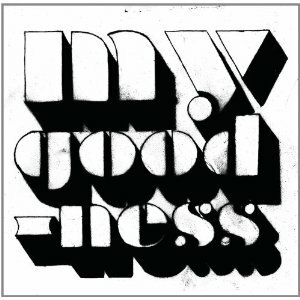 My Goodness - My Goodness Terrific debut from this Seattle Blues Punk duo. Has the riffs to keep you coming back over and over again. Very similar to The Black Keys sound, but it has its own unique vibe. 10. Sallie ford & The Sound Outside - Dirty Radio Hailing from Portland, Oregon Sallie Ford had got unique pipes and a lot of fun rock and roll energy. This release is full of rockabilly leaning music that is simply fun to listen to. The second 10. Honestly, any one of these could easily have cracked my top ten but although it was tough I had to choose. I also have one confession. Since they are not streaming it, and it was just recently released, I have only heard a couple of Songs from The Black Keys El Camino, but I am still ranking it in my top 20 because, after all, it's the Keys and thus is awesome. Tell me readers, what where your top releases of 2011? Looking through our old pictures, I have found a few great ones which, for one reason or another, didn't originally make it onto the blog. Like this one. Lukas was 3 when this photo was snapped. He had just commandeered this shovel from his good friend. From her expression, can you guess how she felt about that? Funny thing is, Mrs. LIAYF and I can routinely be found wearing those exact same expressions! 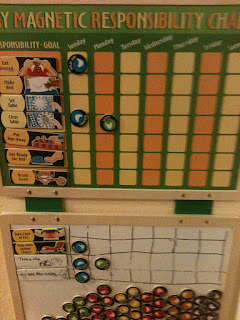 Thanks to my blogging buddy Lee over at An Ordinary Dad, for the idea for the post. 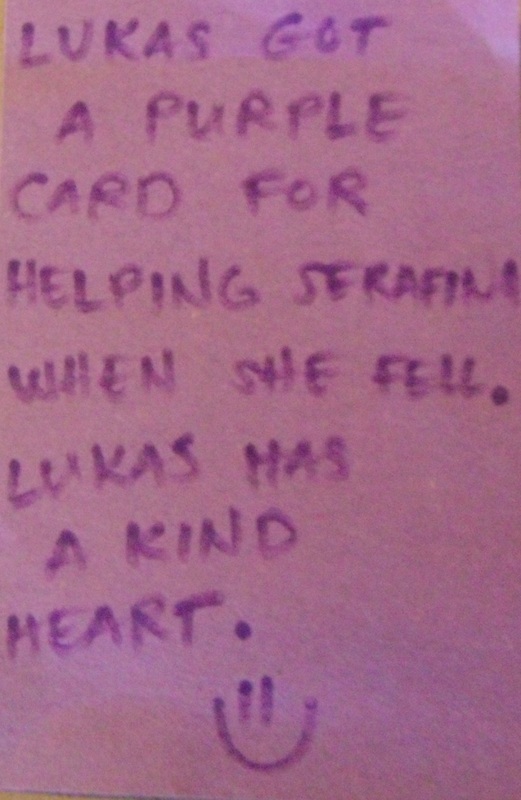 Throughout Lukas' first 4 years Mrs. LIAYF and I consistently held firm with a certain mantra. Despite statistics indicating that approximately 40% of Seattle families opt to send their children to private schools over a vastly less expensive public option, we weren't buying it. "We went to public school and turned out just fine" we would tell anyone who broached the subject. And "We're not even considering private school as an option" we told not only friends and family, but each other often when we thought about the choice we would have to make someday far in the future regarding where Lukas would go to kindergarten and beyond. We honestly considered public school as our one and only choice. End of story. But, and I'm sure you've gathered this by now, a funny thing happened along our path to loading Lukas onto a bus bound for the neighborhood elementary. As he entered Pre-K we started taking a more thoughtful look at the choices that were out there, and began to educate ourselves about the quality, cost, and philosophies of those different options. While Mrs. LIAYF was busy checking private school application deadlines (many of which are due by mid-January), we scheduled some tours and attended some open houses at some very nice schools. Schools where, personally, I was AMAZED at the individualized and challenging lesson plans for kids starting in kindergarten. These were schools with top-notch facilities, small class sizes, enthusiastic and engaged teachers, and caring and involved parents. Schools where the 3rd and 4th graders were addressing the large tour groups and giving presentations, the likes of which even to this day would make my knees buckle more than a bit, with confidence and ease. In short, it was clear to us that for most of these private schools, the kids who attended were getting a fantastic education. And they made us want very much to send our son there. This is not to say Lukas wouldn't get a decent education at his local public school - which is one of the better public schools in Seattle. However, we have yet to tour it or even talk to the Kindergarten teachers. That's because tours in our public schools aren't allowed until late February, long after applications are due at the private schools. So basically, to even consider these private schools we have to get those apps in now, at up to $100 a pop. What we do know about our Seattle public option, however, is that the class sizes are going to be huge, up to a 26 or 27 to 1 teacher to student ratio in Kindergarten with no teachers aides (Washington has the 3rd largest ratio in the country), and the schools are bringing in portables to handle the extra kids. This, while we would also have to pay for the 2nd 1/2 day of Kindergarten. I mentioned to a neighbor who has a child at our neighborhood school what we had heard mentioned regarding classes that size. 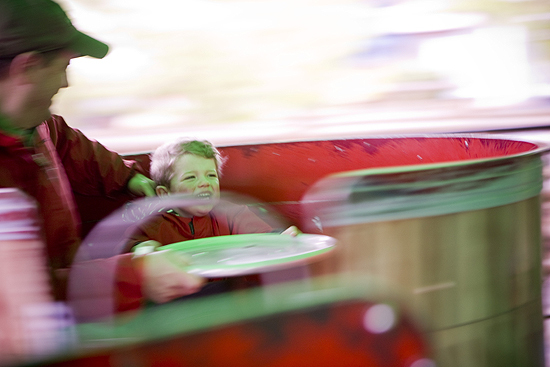 The kids in the middle get very little attention, while the needy kids and the squeaky wheels are focused on. That's about sums it up, she indicated. But that has only made our choice more difficult. As you have probably already know, these private schools don't come cheap. 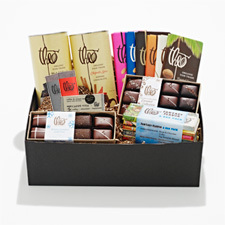 Yes, Mrs. LIAYF and I are both professionals making a decent living wage and we are extremely lucky to even be able to consider private school, but with all our other obligations, and the hope of another addition soon to our family, it would be extremely difficult to swing yearly tuition at the kindergarten level that rivals that of many colleges. Sure, we will apply for any tuition assistance each school has to offer, though we are generally unsure what if any we would qualify for. But the real question isn't "Can we afford it?" It's "Can we afford not to if we can at all find a way to make it work?" 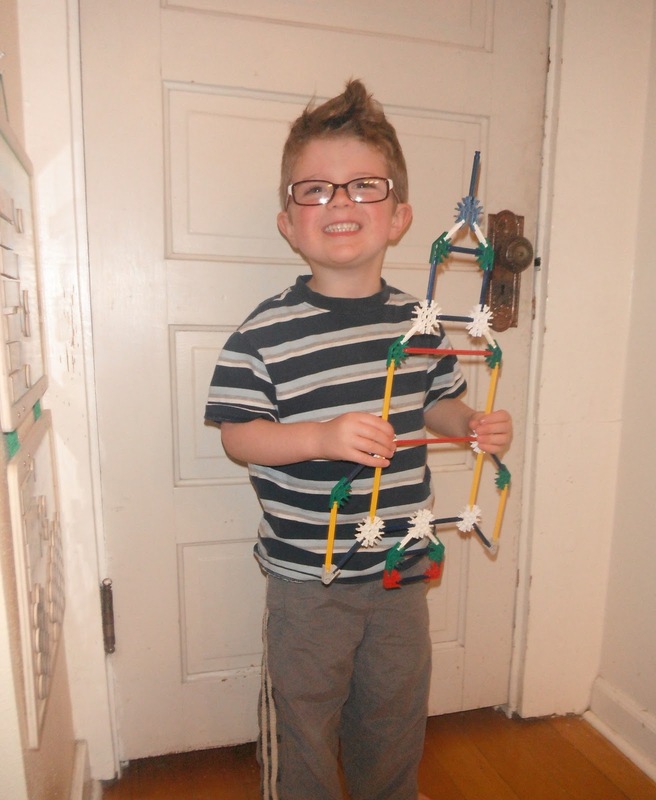 Lukas is a bright, funny, and extremely social boy with loads of potential. We love him to death and want the very best for him. But the questions still remain. 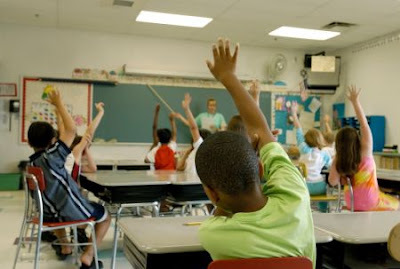 With some of the extra savings from choosing a public school (even though we would be paying for full day vs half day public kindergarten) could we supplement with after school classes, trips, technology, etc... which would give just as good an overall experience? Well, we're really not sure. In the end our choice will most likely come down to where he gets admitted (did I mention these private schools are highly competitive for available spots? ), how close that school is to where Mrs. LIAYF and I work, and how much, if any, tuition assistance is available. If the combination is favorable, and the stars align just right, next year we may be eating at home much more often, staycationing in our beautiful city, brewing a lot more coffee rather than hitting the corner Starbucks, as well as any other belt tightening measures we haven't already employed. If not, we will enroll him in his public school and be active and involved parents there instead. We'll know more in the coming months. How about you readers. If you had to tighten your belts considerably to send your kids to private school and a better education, would you opt to? What other considerations which I haven't mentioned here, would you have to consider? Thanks for any feedback you can give. Tra la la la la....Oh, hello readers. In case your were wondering, yes it IS that time of year again. And no, I'm not referring to "The Holidays". Rather, I'm talking about that other tradition that takes place as the we prepare to bid adieu to the past year, and welcome the new year (you know, the one where we will get into better shape, get more sleep, learn a foreign language, etc....) into our lives. Of course, It's End of Year List time! Here at LIAYF I will be doing a few list posts, most notably my 2011 Best Albums post, which I am especially looking forward to since I have listened to a ton of great music this year, but I am going to begin by continuing the tradition I started last year of breaking up my Best of list into two posts. One for the first half of the year, and another for the last half. So if you are new to LIAYF, or if you are an occasional reader, check out these posts - which I consider to be among of the best that I published in the first half of 2011. Then, look for the July - December edition towards the end of the month. January - Fear Not Citizen What do you get when you give a 3 year old his very first cape and unleash him on the school playground? A Super chivalrous hero for the people, that's what. February - I Don't Blame Him, I Think She's Great Too This dad realizes he can't compete with a Mother's love, and is just fine with that. March - Hot Potato - The crowd experiences an emotional roller coaster during this nail biting competition in the pre-school room. April - My Good Friday - I exorcise the skeletons of my past, in order to move forward with my family's future. May - Rhymes with Sympathy - Our very first parent teacher conference came during pre-school. 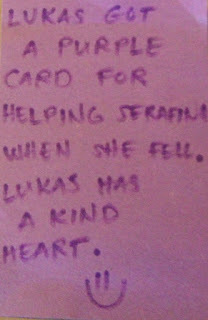 And it reinforced some wonderful things we already knew about Lukas. June - Troubles Will Be Gone - Sometimes shedding some light on ones fears is all you need to do. Especially when it comes in the form of a rocket. We have been reading to Lukas daily for a long time now. How long? Well, since long before he was born actually. It's true. Mrs. LIAYF and I had ourselves read a lot about the benefits of reading to your baby in-utero and thus decided it would be a great idea to employ that practice. Quite a bit. In fact, as silly as it may sound, for a long stretch of her pregnancy I would read 'Guess How Much I Love You' nightly to her ever growing belly in hopes that it would calm our yet unnamed baby and get him used to Daddy's voice talking to him. Now, I don't know how much these neo-natal story times actually helped Lukas, but it sure made Mrs. LIAYF and I feel like we were proactively teaching and calming our unborn child. The practice of reading to him didn't stop after he was born either. On the contrary, we have made it a habit to read to our son as much as possible in the intervening 4 years. We have also collected a large number of books for him, so that he has a large variety of material to choose from whenever he wants to hear dad or mom read a story. In fact, our hefty kid book count was once tallied at around 600, and we have probably added a couple hundred volumes since then. 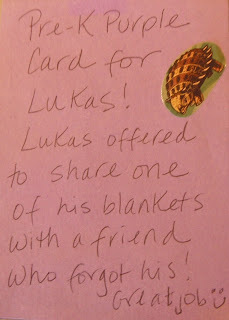 And now that Lukas is 4-years-old, we may be seeing some of the benefits of all that reading paying off. That's because under the loving tutelage of his mother, and to a lesser extent myself, our son has been excitedly learning about phonics and has been doing a terrific job of associating the letters of the alphabet and their accompanying sounds. 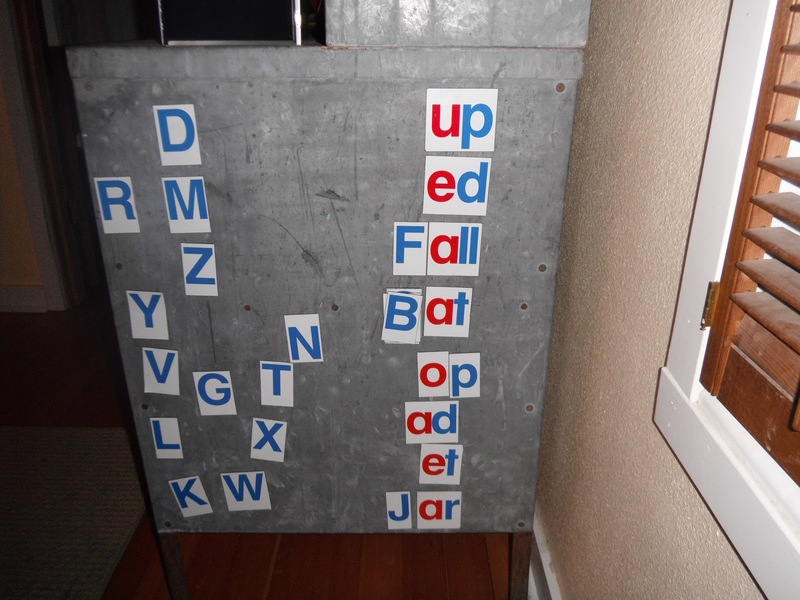 We have had many recent impromptu sessions with him where we have helped him sound out and spell words that hold meaning to him, such as the names of his friends from Pre-K.
Mrs. LIAYF even found a cool set of magnets to help us along with the process. They start with some basic word groupings. Letters can be then be added to create different words. For example, to 'ad' you can add an M, or a D, or an S and so forth. And Lukas has really enjoyed sounding out these different letters to reveal what the underlying word was. All that being said, Mrs. LIAYF proudly came to me on Sunday and declared that our son had probably read his first real word. Not one he recognized because we had read it in a story, but one that he had actually saw written down and to which he had applied his emerging set of reading skills to. And, what was that word? Well, what sound does an 'F' make? Good job, and what about a 'U'? Right!! Now, what about the 'N'? Awesome job! Yay!! Yes. It is FUN indeed. And I couldn't have thought of a more appropriate word for him to start with. They will want a picture. Happy Tuesday readers. Do you know what I LOVE about being a dad? Well yes, most of it so far has been pretty terrific, but what I am actually referring to *this* time are those little moments, or things your kid does which take you by complete surprise and make you laugh out loud. Mrs. LIAYF, Lukas, and I were heading upstairs to start his bedtime routine when he decided that he wasn't quite ready to give up playing the game of 'Hide and Seek' we had earlier been engaged in. So, laughing, he ran into his bedroom and hid himself from yours truly. As I walked in and saw the squirming pile of covers, I called out "Where's Lukas? I can't believe he just disappeared! " At that point there was an audible giggle from underneath the pile. "What was that?" I said in a raised voice. "Is something under here?". Then, I slowly raised the comforter from his bed to reveal a smiling little boy. But, before I could say anything like "Found you!" his arm extended towards me and gave a slight wave, before speaking to me in a serious tone through his grin. He said "This is not the Droid you are looking for." After letting out a quick laugh, I composed myself for my response. "No, this is not the Droid I am looking for" I said with a blank stare, before dropping the covers back over him, turning, and walking out of the room. I thought that was quite an ingeneous trick, since we hadn't read his Star Wars book in quite some time. And I was still ginning about it when I sat down to write this post. Spontaneous, funny moments like this one with Lukas happen often around here, and are just another reason I LOVE being a dad. ﻿We had just been greeted by an impressive rain, which had passed over nearly as fast as it had arrived, leaving the sun shining brilliantly to our west. Looking up and seeing the heavy mist trickle down in front of the sunshine, and smiling almost as brightly, Mrs. LIAYF announced "Quick Lukas, let's go out front. I think I have something to show you." And sure enough, there it was. His first rainbow. A bit hard to tell here, but it was actually a double. We had recently asked him if he had ever actually seen one, which he hadn't﻿. So we were on active rainbow watch. As you might have guessed, there were no pots of gold to be found anywhere. Sad, because they really could have come in handy. By all accounts today was not a day of note. Nothing special or memorable happened. No work projects completed. No milestones were reached. No pictures taken. No purchases were made. In fact, the only obvious accomplishment worth mentioning which took place this day was that the soggy Seattle skies cleared just long enough for me to leave work early, come home, and finish painting my deck and porch. Like I said, it was a Thursday. Of a full work week. The sun barely made and appearance. This was definitely not a memorable day. After my painting job was finished, I had enough time to get a few other chores done around the house. Some that had been nagging me for a while. Then Mrs. LIAYF and Lukas arrived home and while Lukas laughed uncontrollably while watching an episode of Shawn the Sheep, and Mrs. LIAYF watched an episode of The Closer, I made a fresh salmon dinner with kale and fig bread, while I sipped on a craft beer and listened to the baseball playoffs on the radio. Pausing to take in the scene at that moment, it dawned on me that despite my sometimes hectic schedule, I was extremely happy. Then, after the media distractions were over, my family and I sat down to dinner together in a quiet dinning room to enjoy our meal and talk about our respective days. Lukas, of course, was his animated self using impressive hand gestures to describe the antics of the claymation show he had just watched. After dinner, a game of pirates and dragons between father and son then turned into a game of chase and lasers which lasted until it was time to wind ourselves down for the evening bedtime routine. After the game of chase I was worn and out of breath, but as I lay on our guest bed next to Lukas - both of us laughing and silly - I again realized how happy these little moments were making me. No, today Thursday October 6th, 2011 was not a day of note. It was just another day in my life as a parent. A busy day where I did many of the same chores I do nearly every other day: Laundry, dinner, dishes, and work around the house. But, of course, that's really not all it was. It was also one of those many collective days that make up Lukas' childhood that I will one day look back upon with fond memories. I won't remember a specific scene. I won't have a picture with which to recall the day. I will just remember how nice it was. And that it made me happy. Happy Monday readers. I have to admit, I am more than a bit sore today. "Why?" you may ask. "Have you been working out more? 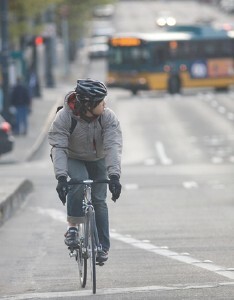 Maybe riding your bike to work again?". Well, no on both accounts, but thanks for asking (you're so good about that). Actually, I am sore today because I spent the weekend busily engaged in an activity I had absolutely no business doing the first weekend in October. That's right, I was painting. The temperature here in Seattle barely cracked 60F over the weekend, with the constant threat of rain. But hey, my deck and porch REALLY need to be painted before the Fall rains come in earnest leaving everything around the Pacific Northwest waterlogged until next July. So I carefully followed the local weather forecast and decided I had a Sunday window with which I could squeeze in most of the job. Now the reason I needed to squeeze the job in because, of course, when August and September came and the weather was actually prime around here for outdoor painting, I was much too busy enjoying the sunshine and moderate temperatures with Mrs. LIAYF and Lukas to bother myself with such annoyances. But, unfortunately, when Fall comes here in Seattle, it can come on fast. And before you know it, it's October, temperatures are barely reaching 60 degrees, and raindrops dominate the 7 Day Forecast. So, I prepped the areas all day Saturday, doing quite a bit of scrapping, sanding, and cleaning. Then, on Sunday the weather was cloudy but dry with a few sun breaks. The rain was due later that night, but I figured I had enough time to get at least a primer coat on everything and maybe a coat of paint on the porch. Our house is dark orange in color, so when I had the primer tinted it turned out to be a lovely shade of pink. I tried to tell myself it was 'Salmon', but honestly it was pink. I spent all the late morning and early afternoon putting that coat down. Then after a late lunch I made the call that I had enough time to get a coat of orange on the porch. Maybe. I really should have stopped there, but my painting inertia had kicked in. It was about 4PM when I was finishing the last of the coat of paint. And when I felt the first drip of rain drop onto the top of my nose. After the rain let up a bit and we had finished eating we walked back to our house. All the way I was grimacing at the thought of what I might find there. I knew the paint wasn't dry, but how bad was it going to be? It turned out to be about as bad as I imagined it would be. There were a LOT of pink streaks from the primer coat showing through. In fact, I'm pretty sure there hasn't been streaking that ugly since they filmed 'Old School'. But on the bright side, the higher up the steps I looked (where I began) the better it was. Plus, the rain actually washed away all the orange puddles and it looks like I might get another dryish day this coming weekend so I can finish up. Until then though, my pink streaked porch is on display for all the neighbors to see. Yes, I should have done this job a month ago while I was enjoying my summer with my family instead. But life is short, and so is childhood, so I guess I'm okay with painting in the rain every so often. **So many of you are calling for a picture that I decided to relent. It was darkish when I left home this morning, and I caught this blurry image with my cheap phone camera. Your welcome. Tim, over at Life of Riles recently gave me cool Meme/Award. The 7 x 7 link award tasks you with looking back at your archeived posts for ones that had an impact in certain ways. It's been a while since I have participted in a meme, but I really like Tim's blog so I decided to oblige. So, without too much forethought, here they are. Most Beautiful: Sure, it was the product of yet another meme, but this post about Where I am From is perhaps my most poetic piece. Most Helpful: Hmmmmm.....helpful? That's not really what my posts here at LIAYF are about. Probably as close as I've come is this post about My Top Ten Father Son Movie Moments. Don't give me that look. I'm sure it was helpful to somebody. Somewhere. Maybe. Most Popular: Without question it was my post from earlier this month, about our plans to adopt our 2nd child. I had my highest number of pageviews in 4 years on that post. Very encouraging. Most Controversial: Let's face it, I'm not a controversial writer. That is, unless you consider self deprecating humor as 'controversial'. Maybe the closest I came was just recently when I posted about not having taken Lukas to McDonald's. Ever! Most Surprisingly Successful: The popularity of this post, about others realizing what you have as a parent, was very popular. Probably more so than I expected. Most Underrated: Personally, I liked this post about a thrilling game of Preschool Hot Potato quite a bit. And although it did get some comments, I wish more people would have read it. Most Prideworthy: This post about reaching a noteworthy milestone as a parent ranks up there with any I've written in terms of ones I'm proud of. Now I guess the rules are to pass the award on to 7 more outstanding bloggers. They are listed below. If you haven't heard of some of them, click through and give them a read. You'll be glad you did. Heck, maybe even one or two of them will play along with thier own post. 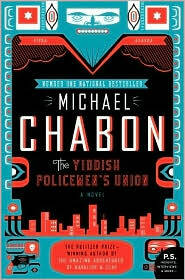 Chis Singer ( @Book_Dads ) visited Seattle last week with his lovely wife and daughter. We had them over for dinner and Lukas and I instantly hit it off with Chris. Literally! In fact, I bet he is still having nightmares about Lukas' stinging blue uppercut. "Rockem Sockem! Rockem Sockem!" Lukas chanted as they pummeled each others robots. Despite that, Chris then sat him down and read him a Star Wars book. Nice Guy. Lukas: Daddy let's play Light Savers. Me: You mean Lightsabers buddy. Lukas: No, I said Light Savers! Me: It's a Lightsaber. A sword is called a saber. So, it's a sword made out of light. See? Lukas: Yeah, but I want to play Light Savers daddy. Me: Okay then, let's see who can turn off the lights first! The other day Mrs. LIAYF and I were engaged in some rather pointed discourse (to our credit, we didn't once yell) about.....you guessed it, Sloppy Joe's. What, you mean you didn't guess Sloppy Joe's? Now we haven't had Sloppy Joe's in years, but my lovely bride put it right there on our dinner planning menu for the next week. Not being able to read properly, I gathered up a shopping list, including what I assumed we needed to prepare the dinners on the menu, and was off to the grocery. My mistake? I came home with a can of Hunts Manwich Sauce. Ha ha. You see, apparently she was planning to make the meal from scratch. With all healthy ingredients. It was from a recipe no less. Sure, this is what she does with nearly all ours meals, but the can just called out "Easy" to me. We were both tired so, as you can imagine, my manwich was in trouble. It was during our discussion that Lukas came between us with his Buzz Lightyear and began to use his laser on yours truly. "I'll save you Mommy" he said as he pointed the wrist with the flashing light which was making the laser sound at me. I guess there's no doubt whose side Buzz will always take in such an exchange. Apparently, I'm Zurg. We all had a good laugh at that. If you ever want to find me, just take a gander under your nearest rock. I do reside there after all. It's true, with no television and a 4 year old, I am usually way behind the times on what is going on out there in the world beyond my narrow silo. That's why I was shocked when I heard about Spotify the other day. A music site where you can sign up for free and listen to a catalog of nearly 15 million songs, including full albums from nearly most any band you can think of (except the Beatles)? It didn't take me long to sign up. Now I am listening to many of those albums that I had always wanted to listen to before I decided to buy or not. Yeah, I'm already a big fan. ﻿You might have noticed in a recent Wordless Wednesday post that Lukas in now wearing glasses. He has been diagnosed with Amblyopia. Basically, his one eye is weak and shutting down and the brain has to relearn to use that eye. The doctor prescribed the glasses, along with patching his good eye for 2-6 hours a day. Unfortunately, we may have to follow this routine for up to 5 years. But on the bright side, since we caught this early enough his vision has a chance to correct back to 20/20. While patching the eye doctor also indicated that he wanted Lukas concentrating on something small, and close up. He recommended at least a half an hour day of video game. Yes, video games. Doctors orders. Lukas hasn't always been too excited about this though. Just the other day he wanted to go outside and play. "Not until you play your video game!" I had to say. How humorous is that? 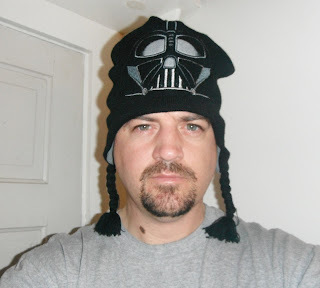 And finally, I am hosting my biggest giveaway yet over at Luke, I am Your Father Reviews. I am giving away a Clarisonic Mia! Valued at well over a Franklin people. There are several ways to enter, including grabbing our adoption badge. So, if you haven't stopped over there yet, now is definitely the time folks. So, I really put the LIAYF family out there in my last post. First, I want to thank all who read and commented. It's nice to know that you are thinking good thoughts for us and keeping us in mind as you carry on. Heck, there might even be a chance that one of you will hear about something along those line that you would normally have not thought twice about. Maybe not today or tomorrow, but maybe one day. Moving forward - and at some point we must move forward - the question became "How long should I leave that post up, before posting again?" I mean, I want to give people ample opportunity to read the post, but at some point I do need to post again. Then I had an idea. This is the point where I tell you that old (emphasis on the old) bloggers can learn old tricks. ﻿Then I thought "Why stop there?" I could even create a badge that other blogger, if they were so inclined, could post on their sites as well. For those of you who, like me, have never created a badge before, here is a quick and easy tutorial on how to make your own. Yes, with a quick google search you can find a more detailed tutorial, but I know you, and you don't have the time for that. loaded it to Picnik, cropped the upper right hand corner, sized to 175X175, added the text, then saved it to my computer. 2. Load the Image to a Server - There are several ways to do this, but I just loaded it to imgur, which I was able to create an account on by signing in with Twitter. After loading the image had it's own URL, which I then copied. 3. Get the HTML code - I found the code I needed with a search, and used my URL's to replace the text that indicated [Destination URL] and [Image URL] aready listed. 4. Add Code to Your Site - Now take the code you just created and add it to your site. Here is my finished product. There you have it. Not so hard, right? Like I said, I will be using the first badge I created to anchor future posts. And, of course, Mrs. LIAYF and I would greatly appreciate it if you grabbed our badge for display on your site as well. If you do, please let me know. Save for a mention in a previous post I haven't talked about it much here at 'Luke, I am Your Father', but we are in the process of adding to the size of our family. We are doing it through adoption. Given Mrs. LIAYF's history with adoption (her mother and uncle are both adopted) we had always planned on having one biological child and then adopting another. However, this outcome was not easy to achieve. Before Lukas was born, we spent four years, multiple thousands of dollars, and countless hours of 'practice' (yes, we could be qualified as Outliers in that field) trying to nudge along the process of conception. But, sadly, this was to no avail. We were eventually told by our doctor that we would most likely never have a biological child of our own. As it is with many would-be parents, this was a frustrating, heartbreaking, and at times demoralizing experience for both of us. We couldn't fully comprehend why we were having these difficulties, especially when we knew we had so much love and happiness to give. Finally there came a time, after riding the emotional rollercoaster for so long, that we had our closure moment. 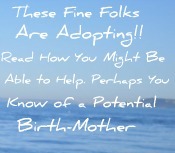 Now, we would simply adjust to adoption as our primary option to start our family. And, we were very happy with our choice. Then, miraculously, Lukas picked us as his parents. We literally found out Mrs. LIAYF was pregnant the same morning that we were sending our profile to an expecting mother who we had found was looking for adoptive parents. We were shocked. We held each other for what seemed like hours and cried tears of joy. Despite the stories you may have heard, statistically this almost never happens. We quickly contacted our adoption attorney and had him refer this birth mother to another family looking for a child to love. Our plans for adoption would be put on hold. Fast forward nearly five years. The parenting experience has been every bit the amazing journey Mrs. LIAYF and I had envisioned. We count our blessings each and every day to have Lukas in our lives. We laugh and love more than we could have ever imagined, even five years earlier. If you read this blog, you will know that I write a lot of self deprecating humor. I often poke fun at myself, my age, and many other things. But all joking and humility aside, Mrs. LIAYF and I are pretty fantastic parents. 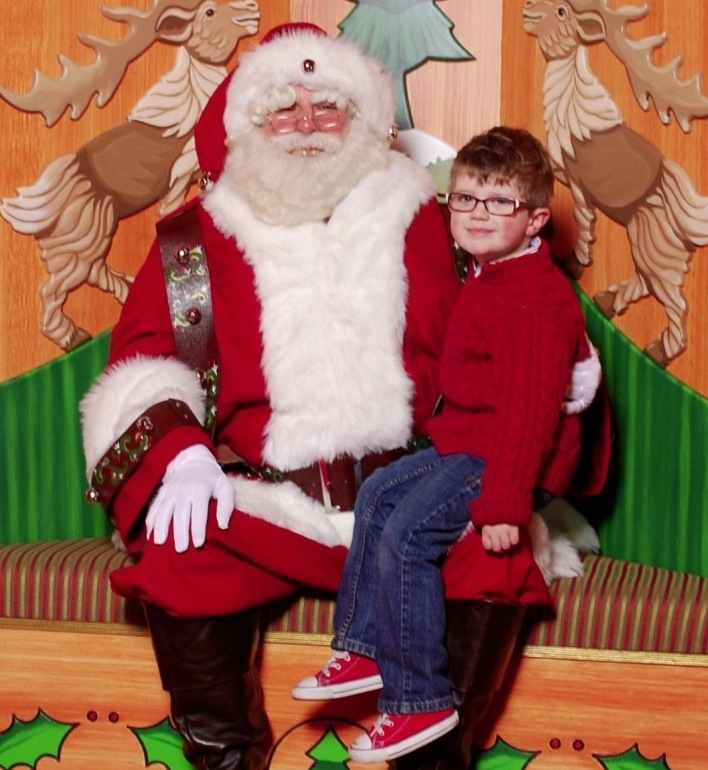 And Lukas is a pretty amazing kid. We realize that, but we also realize that we are far from done. We have plenty of room in our home, and in our lives, to share with another child. And that child will be extremely well loved. Since earlier this year, we have been completing all the necessary steps, including background checks and a lengthy home study, to bring that child into our happy home. Like we were pursuing before Lukas came along, we are opting for a process called Domestic Infant Adoption. This means we have an adoption attorney and are staying local, while waiting for a birth mother to pick us as the adoptive parents to her soon to be born beautiful baby. With this path we are not contracting with an agency, but rather opting to find our child through other avenues. This involves networking. In essence, getting the word out about who we are, and most importantly that we are looking to provide a loving home to another child. This, readers, is where you may be able to help. You, as the readers of 'Luke, I am Your Father' are perhaps our biggest network when it comes to locating the child who has picked us, and is waiting for us to find him/her. And networking, in the form of getting the word out that you are looking to adopt a child, it has been told to us by the professionals who we've been in contact with, is the key to speeding up the domestic adoption process. In fact, the first young birth mother we were made aware of 5 years ago was the daughter of a friend of a co-worker of Mrs. LIAYF's. That's usually how it works. So readers if you have heard, or do hear in the future through your personal grapevine about a expectant mother who may be looking at adoption as a means of giving the child she is carrying the chance at a secure and loving home, please think of the LIAYF family and the healthy, happy home full of laughter and learning we could give that child. All that being said, and certainly this is the tricky part, we would prefer that birth parents not be referred here, to LIAYF. At this stage of the process, there would simply be too many yet unanswered variables to consider. That would be a decision left for another time. So, if in the off chance you do know of a prospective birth mother, please hold off on giving out this web address, or blog name. So, there you have it, the story of our journey to adding a fourth member to our happy family. Thanks for reading, and for keeping our story in mind as you go about your daily lives. Who knows? If you were actually able to help, I may even give you creative license in choosing a psudonym for LIAYF's newest edition. That is, as long as it's not Jar Jar.